Adnams, the Suffolk-based brewer, has appointed Dye Holloway Murray to handle its integrated advertising account without a pitch. DHM will work across Adnams' beer, hotel, pub and Cellar & Kitchen wine and food store interests, with a brief to unify the brand's tone of voice and design. The move sees Adnams reunited with the DHM creative partner Dave Dye seven years after he worked on the award-winning "beer from the coast" print campaign at his former agency Campbell Doyle Dye. The Adnams advertising account was held by Campbell Doyle Dye, which became Shop after Dye left in 2006, until the agency folded in 2008. Since then, the brand has worked with a variety of agencies including Balloon Dog, which it still retains. 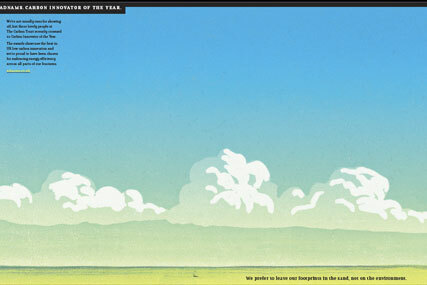 Launched in September 2003, the Adnams "beer from the coast" campaign picked up two Campaign Poster Advertising Awards in 2004, for Best Campaign and Best Alcoholic Drinks Poster. It featured a range of rugged seaside scenes around the coastal town of Southwold, where the brewer is based. One showed a tranquil beach with Adnams' bottle tops amidst the barnacles. Another featured a line of Adnams beer bottles outside a row of beach huts. The agency was appointed by Liz Cobbold, the head of marketing at Adnams. The brewer's brands include Oyster Stout, Broadside, East Green, Explorer and Spindrift.